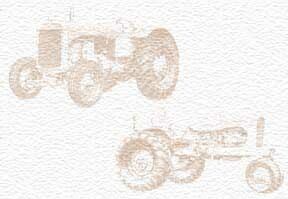 I began in 1950 as an accounting machine operator in the Farm Equipment Divison, Harrisburg Branch. After recall to the USMC, during the Korean War, I returned to A-C and was transferred to the Construction Machinery Divison,and attained the position of Assistant Sales Manager in the Harrsburg branch. In a reorganization, I was assigned as a Field Sales Representative in the Northern New Jersey, New York City, long Island and nearby upstate counties, district. About 1964 I was tdransferred to the West Allis home office, and served as an administrative assistant to the Manager of Marketing, Mr. Fred Dace...a prince of a man to work for. In early 1969, in yet another reorganization, in which the Construction Machinery Division was relocated to Springfield, Illinois I was laid off and, though I was subsequently given the option to stay with the company, I had already accepted other employment, and was obliged to decline. I subsequentluy retired, in 1993, after 22 years of employment by an independent agency of the Commonwealth of Pennsylvania. In retrospect, being laid off from Allis-Chalmers was one of the best things that ever happened to me.